Skagit River steelhead are listed under the federal Endangered Species Act, but state and federal officials say that the stocks have rebuilt enough to allow a targeted fishery. 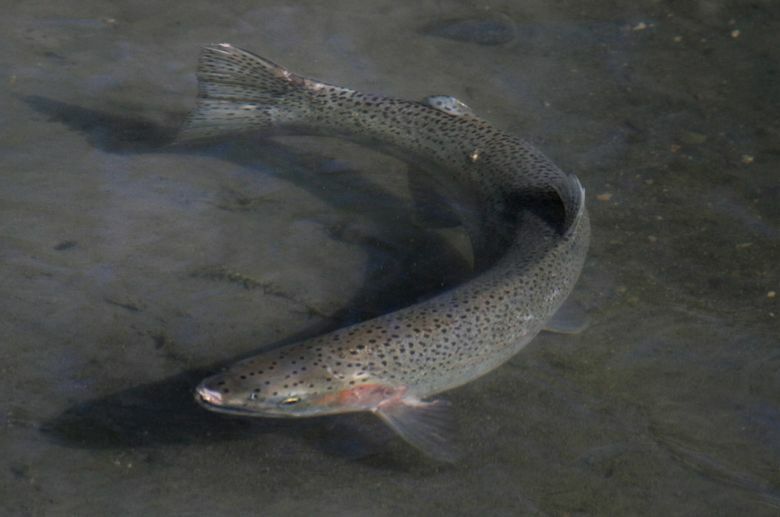 Anglers this spring will be able to try to hook a Skagit River wild steelhead — a revered run — for the first time since 2009, according to state wildlife officials. The first opening for the catch-and-release sport fishery will begin Saturday and last through Sunday during daylight hours, according to the Washington Department of Fish and Wildlife. Other openings are scheduled for April 18-22 and April 25-29 along a portion of the Skagit River, as well as the Sauk River in northwest Washington. More are expected under a five-year plan. The Skagit steelhead are listed as a threatened species under the federal Endangered Species Act, but unlike many other of the Sound’s salmon and steelhead runs, their stocks have been rebuilding. “We know that there is a huge number of fisherman who have been really patient but anxiously awaiting this opportunity and we’re happy we’re able to finally make this happen,” said Barry Thom, the Portland-based regional administrator for NOAA Fisheries West Coast Region. Thom said that the Skagit River steelhead returns have averaged around 8,000 fish in recent years. Under the five-year plan, when runs are strong, up to 25 percent of the fish could die due to fisheries without affecting the efforts to rebuild the runs, according to NOAA Fisheries. When runs are forecast to be weak, that death rate could be reduced to as low as 4 percent of the run.